Apple is reportedly gearing up to announce a new Apple TV in early September, which will feature a new design, come with a redesigned remote, and will run full-blown iOS 9 with access to the App Store. According to a report from 9to5Mac, the new Apple TV will come with an updated design that more closely matches Apple's current line-up of products. The device is expected to still feature a mostly-plastic design to ensure great wireless performance, but the body itself will be slimmer and slightly wider than before. 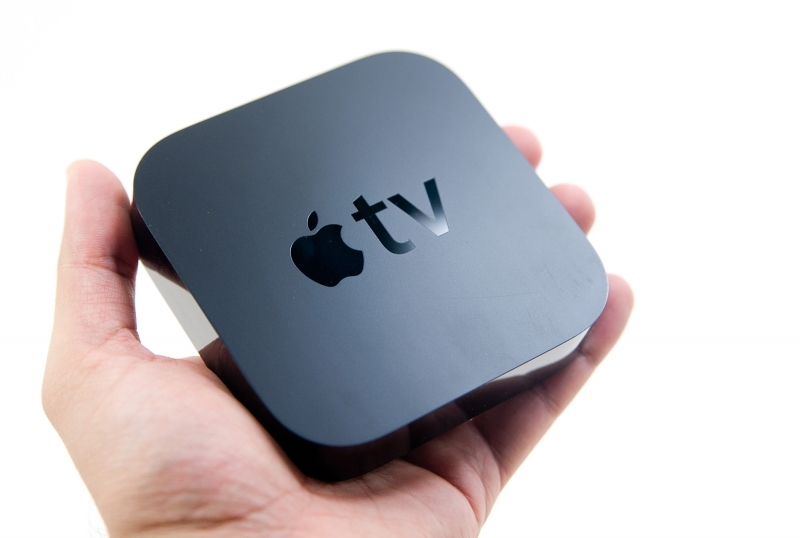 The Apple TV's new remote is said to include some sort of touch input, possibly a trackpad, as well as gesture support. The remote will connect to the Apple TV through Bluetooth, but it will also include an infrared LED for controlling other home entertainment devices. A microphone is also expected to be included in the remote for Siri support. From a hardware perspective, the new Apple TV will reportedly come with a much faster processor, possibly Apple's A8 SoC used in the iPhone 6. RAM and NAND storage are also expected to increase from the 512 MB and 8 GB seen in the current-generation model. While there will be some modest improvements on the hardware side, many of the Apple TV's major changes will occur in the software. It's expected that the new Apple TV will run a full-blown version of iOS 9, allowing it to install and run apps from the App Store. Previous versions of the Apple TV ran a custom version of iOS that didn't support third-party apps. The new Apple TV is also expected to feature a refreshed user interface and better search capabilities, although it won't launch with support for Apple's rumored TV streaming service. Expect more details about the new Apple TV at an early-September event, where Apple is also set to announce their new range of iPhones.